Just How Miserably Hard Would It Be for a Republican President To Govern? 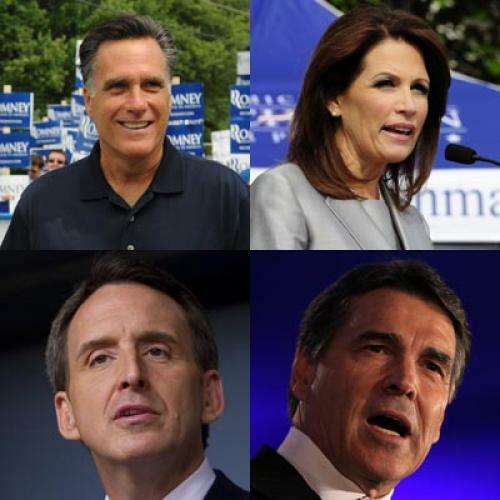 Let’s say you are Mitt Romney, or Tim Pawlenty, or Michele Bachmann, or Rick Perry, and, on November 6 of next year, you are elected the forty-fifth president of the United States. For the sake of argument, let’s say your party still controls the House of Representatives and has taken control of the Senate as well (under the presidency of your running-mate Marco Rubio) by one seat. Maybe the economy has even begun growing at a slightly faster rate and unemployment is down a bit, though neither improvement occurred fast enough to give Barack Obama a second term. Life looks good, right? Not necessarily. Given, among other things, the country’s highly polarized politics, the rise of the Tea Party, and your barely-there edge in public support over your predecessor, your fate as a Republican president doesn’t look too bright. For starters, there are the many problems you must tackle that you inherited not just from Obama but from George W. Bush as well (you know, big deficits and debt, a shaky global financial system, health care costs still out of control, the retirement of the baby boom generation, steadily worsening inequality, a housing market that looks like it will never fully recover, and crises in international hot spots like the Middle East). On top of that, you made a few promises along the path to the White House that now must be redeemed or repudiated—neither of which will be easy. In particular, in the fiendish competition for the 2012 GOP nomination, you have sworn, among other things, to disable or repeal the Affordable Care Act (ACA); make the Bush tax cuts permanent, while also slashing corporate taxes; pare back environmental regulations; slash domestic appropriations and cap federal spending at a fixed percentage of GDP significantly lower than it has been for years; pass a constitutional amendment requiring a balanced federal budget; make Supreme Court appointments that would guarantee the reversal of Roe v. Wade; and pursue a “modernization” of the U.S. nuclear arsenal. You must implement this agenda in a climate where the mainstream media have concluded via exit polls that you won the election strictly because of poor economic conditions and disappointment with Obama (with the latter manifested by poor turnout among traditionally Democratic constituencies) and thus have no real policy mandate. Simultaneously, the GOP’s conservative “base” is expecting a repeal of “liberal” policies enacted by both parties dating back to the New Deal; indeed, your already long list of promises isn’t long enough for them. You plan to make an appeal to bipartisanship in your inaugural address, as virtually every president has done, but the well has been thoroughly poisoned by the GOP’s strident hostility to Obama for every single day of the previous four years. In particular, Republican obstructionist tactics in the preceding Senate have made any gambit for restoring majority rule to that chamber implausible, which, in turn, makes enactment of the more controversial elements of your platform implausible as well. Moreover, Republican control of both the executive and legislative branches of the federal government has created a siege mentality among virtually all Democrats in Washington, who are united—give or take a few random Blue Dogs or Fox-friendly pundits—in a desperate effort to defend the New Deal/Great Society legacy and exact revenge for the GOP’s behavior after their 2008 defeat. What to do? Perhaps, you think, it will be possible to secure some Democratic cooperation for the “replace” part of the “repeal and replace” agenda for health care, given the leverage you have to unilaterally frustrate implementation of ACA via state waivers and other executive powers. This is important not only because redeeming your health care campaign pledge is emotionally the top priority for your Tea Party supporters, but also because “replace,” not “repeal,” must be central to your already virtually impossible fiscal and political goals. Indeed, just repealing the ACA without some additional health care cost-containment measures would, to use the old Al Gore phrase, “blow a hole in the deficit” of enormous proportions. But you’re in a tough spot, to put it lightly: The single most effective post-ACA cost-containment measure—restoring the right of insurance companies to blatantly discriminate against people with pre-existing conditions—is wildly unpopular (there’s than mandate problem again!). And holding down public health care costs using the more direct method of limiting federal responsibility for them via a Paul Ryan-style Medicare “voucher” system is even more unpopular. (At least you recognized this during the 2012 campaign and slipped out of an earlier commitment to support Ryan’s scheme.) Your other options are, well, slim to none. You have the same kind of problem on the revenue front, where failure to enact a real federal budget or achieve some sort of deal with Democrats could doom efforts to extend (or make permanent, as you promised) the Bush tax cuts, which is the key plank in your campaign platform of passing additional high-end and corporate tax cuts to help out “job-producers.” Sometimes, late at night, you secretly nourish hopes the Bush tax cuts will lapse, significantly shrinking long-term deficits, but you dare not mutter such heresy aloud, even to your spouse. As you ponder these intractable conflicts in your own agenda, you can only hope that the first days of your administration aren’t devoted to an international crisis—or perhaps, worse yet, the retirement of a Supreme Court justice. That incautious speech you made in South Carolina back in December 2011 pledging to end “forty years of government-sanctioned death penalties for millions of innocent human beings” the moment a Supreme Court spot came open didn’t overshadow your general election campaign, but it sure could create a less than ideal climate for governance if it suddenly became relevant to an actual nomination and confirmation fight. Maybe that inaugural address should include some rhetoric about a “fresh start for America.” You know, the kind that begins with forgetting everything you said for the previous two years.